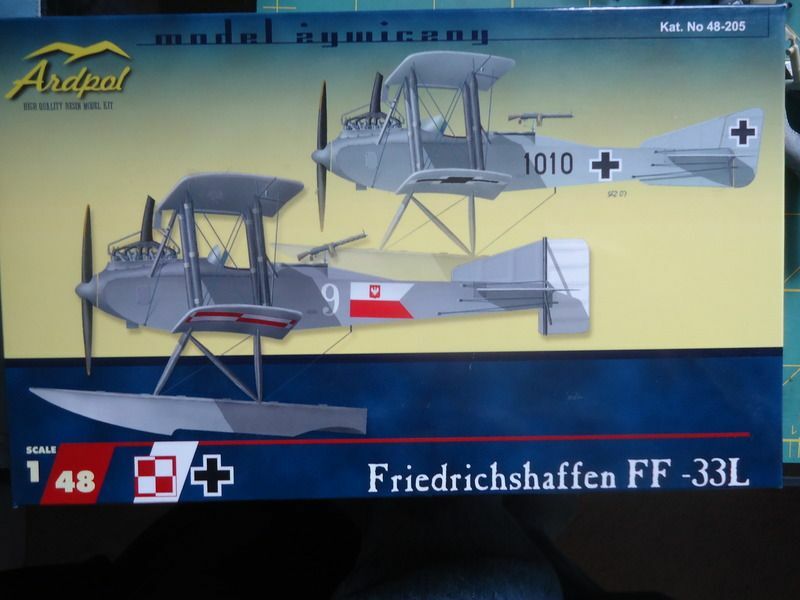 Lukgraph just released a set of resin versions for this beautifull floatplane in German and Polish colours. Not sure how expensive, but not cheap, Lukgraph never is. But quality is outstanding, includes full engine, beaching trolleys and photo-etch detail, wire reinforced stuts and wings. Correct me if I am wrong but I think this uses ex-Ardpol molds. Nicely made parts and subject. quality seems to be a little better as my parts have a little flash around most parts, but they could just be cleaned up items in the pictures shown. Definitely the Ardpol kit. However, the Ardpol website is defunct and, although Karaya still have them in stock, Lukgraph now have the molds. I believe Karaya still has some in stock because they are selling them at $70.83 and they are resin. I'm afraid too many modelers are afraid of resin and the high price keeps others away. I hope Lukgraph does well with these re-pops. I personally love resin kits and look forward to more from them. I hope they acquire the the Karaya Martinsyde Elephant and release that one as well. Is the L variant that different from the E? The Techmod is still available for a bit more than 1/2 price and looks like a nice kit. Also a Polish version available. Not being scared of resin , it looks like a decent kit. Especially the metal pins cast into the wing ends. The E version was larger than the L model in both length and wingspan The L version was more successful in handling characteristics and performance. The Ardpol/Lukgraph kit is better detailed and more accurate that the Techmod FF 33E. Besides the wire reinforced resin there is now a photoetch fret plus a color instruction manual. You can see a photo of the 1578 aircraft on page 121 in German Aircraft of the First World War by Gray and Thetford.